Life is being very fast in today’s modern era. They say that “Human ignores health to accumulate money in his manhood, and later spends all his money to achieve lost health.” This lifestyle needs to be changed. One can’t afford to loss his health at any cost and for any reason. Because they say that “Health is wealth.” So today, I am sharing 5 things you must do every day to live longer and healthy life. People misunderstand the term 'Exercise' with 'Gym'. Yes! The gym is a part of an exercise. But many people do not know that exercise can be done even without joining a gym. According to research published in the journal ‘PLOS Medicine’, 150 minutes of brisk walking per week was associated with a gain in life expectancy of 3.5 to 4.5 years. Doctors advice that everyone must walk at least 1 km in morning and evening time. Even this simple morning walk and evening walk can make you live longer. So I would like to appeal you to avoid traveling by vehicles like cars and motorcycles where you can go on your foot. You can use bicycle which helps you in exercise, it will save your money and spread less pollution which will help you better health care and you will live longer. People around the world have been practicing meditation for thousands of years, and now, science is finally starting to document its benefits, including stress reduction. Last year UNO has recognized the importance of Yoga and declared 21st June as ‘International Yoga Day’ which we have been celebrating with a lot of enthusiasm and excitement all over the world. But this should not be stopped after one day practice. There are a lot of Rishimunis in India who have told and current Yoga gurus like Swami Ramdeo have been telling the importance of Yoga in human life. We must do Yoga for our health care. They say that “Laughter is the best medicine.” According to an online magazine ‘Psychology Today’, laughter can reduce pain and blood sugar levels, restore emotional stability between people and remarkably, help your blood vessels function better- which is good for your head (brain) and your heart. One does not need to put extra efforts for the laughter therapy. I believe that “Smile is the key of happiness.” You can laugh while playing with children. You can read humorous books, you can watch comedy shows on TV for laughter HaHaHa!!! According to research, an estimated 25% of Americans have an insufficient amount of vitamin D, and another 39% are deficient. Vitamin D deficiency is associated with a host of medical issues, including multiple sclerosis, heart disease, and type 2 diabetes. A 2010 report from the ‘Institute of Medicine’ concluded after a massive analysis of the data that most Americans are getting insufficient vitamin D, so you need to check with your doctor’s advice. Vitamin D is the free gift of health package from the Sun. So, don’t waste Vitamin D.
4. Never Skip meals and water: We are not getting foods with vitamins, minerals and other required substances for our body. We eat vegetables and foods mixed with harmful chemicals. The food we take feel our belly but it doesn’t provide vitamins which are required for our body. So we fall sick. However, we can’t afford to skip 2 times meals. To live a healthy life, you should never skip meals and take that time to time. They say that “Water is the life.” (“Paani hi jeevan hain.”) Water is essential for every living thing on the surface of the earth. If you have clean and pure, portable water coming out of a faucet in your home, you are lucky. This ‘elixir of life’ regulates your body temperature, helps remove waste, fortifies cells and organ and keeps you feeling fresh. If you get tired of plain water, try adding lemon, lime or another citrus. Drink sparkling water or make your own infusions with mint, cucumber, and lemon. You can get some hydration from other beverages like fruit juices and tea, but make water your main drink of choice and avoid added sugar and harmful chemicals. If you drink 2 glasses water daily before brush, all acidity problems get curewithin a month or two. Further, water is the best health package to control blood pressure, diabetes, acidity, thyroid and almost all other diseases and live a long life. Coffee is really a miracle drug. Research has suggested that coffee drinkers have a lower risk of everything from type 2 diabetes to Parkinson’s disease to liver cancer. Those studies don’t prove that coffee is the reason for the risk reduction; it could be some other factor linked to coffee drinkers’ lifestyles. But a 2012 study published in ‘The New England Journal of Medicine’ that analyzed data from 400,000 people over a 14 year period did find that the overall mortality rate was 15% lower for women who drank two to six cups of coffee a day, and 10% lower for men who drank that amount. Just don’t drink it too hot; a recent World Health Organization (WHO) analysis suggest hot coffee or any super-hot beverage is linked to a higher risk of esophageal cancer. Sleep is a powerful force. Scientists believe sleep lets the neurons in the brain recover from the work they do during the day. Growth hormones are released during sleep, which is why children sleep longer when they are going through growth spurts. Lack of sleep is linked to greater risk for many diseases, including heart disease, diabetes, and obesity. Recently, Zee New media channels showed the horrible truth that how people are suffering from lack of sleep and how the business of sleeping pills is growing in America, according to their analysis, the business will be established in India by 2020. So you must take enough sleep at night. If you can’t sleep a peaceful sleep at night, then it’s a time to take doctor’s advice. 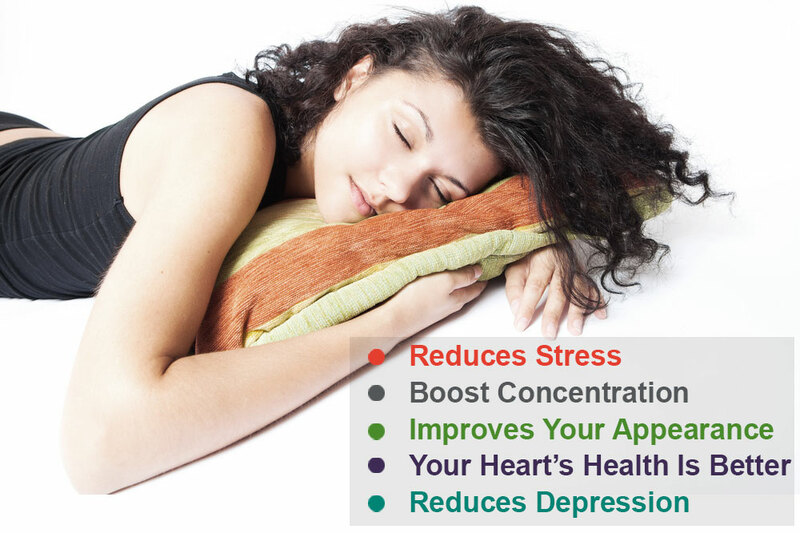 When you allow your body enough time to sleep, you will notice increased energy, mental focus, and a better mood. People need varying amounts of sleep, so find what works for you and make sleep a priority in your life. Manipal Hospitals has a special significance in the overall healthcare industry of India and particularly in South India. A social seed sown more than five decades ago is today the country’s third largest healthcare group with a network of 15 hospitals. Note: This blog post has been written for Health Care-Life’s On campaign by Manipal Hospitals in association with Blogmint. Good article on "Things You Must Do Every Day to Live Longer". The above 5 mentioned should get everyone habituated for healthy mornings. For, Health & Beauty Care click on it. Hope it will surely helps you improve your health status.